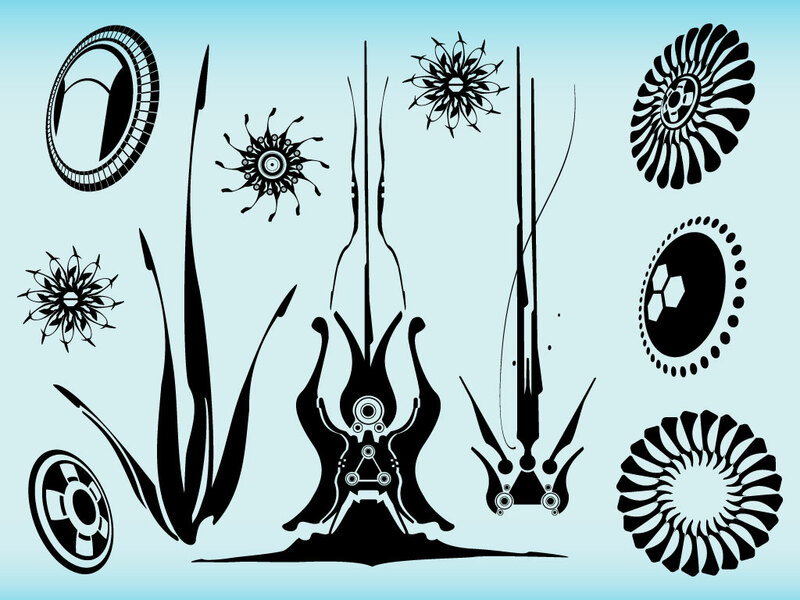 Download this cool pack of vectors is a mix of organic, symmetric, science fiction and abstract shapes. Perfect elements for modern abstract posters, collages and illustrations. Zip file comes with AI, PDF and JPEG file formats. Tags: Abstract, Brushes, Circles, Geometric, Sci Fi, Shapes, Spirals.